Today I want to share a blog post by a new author friend, Katherine McDermott. 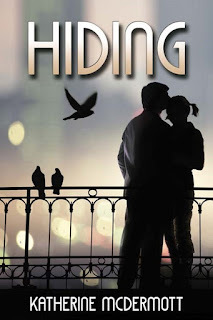 I am currently reading her exciting romantic suspense, Hiding. I highly recommend it. In creating romantic suspense the "bad guy" is just as important, if not more important, than the hero and heroine. He must be a "real" person with legitimate motives and his own back story; otherwise, you end up writing a melodrama with stock characters like Dudley Do-right and Snidely Whiplash. 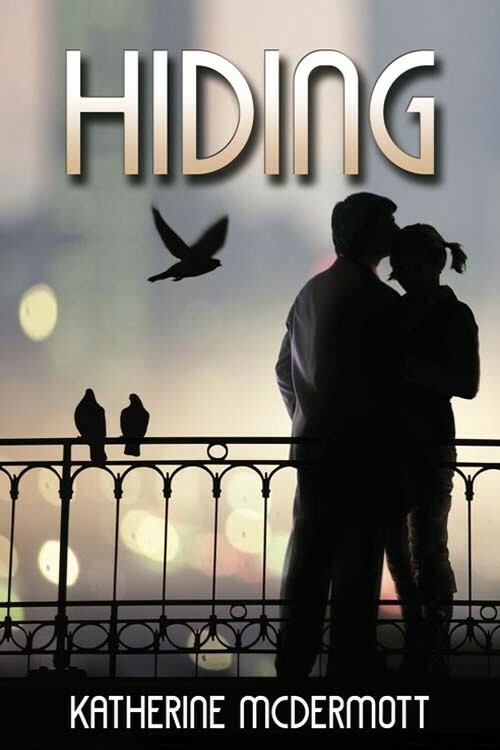 In my suspense romance Hiding, available at www.thewildrosepress.com, I gave a lot of thought to my stalker, Alex Sinclair. When Alex was a child his father deserted his mother, and Alex has pent up anger over the abandonment. His fascination with knives is symbolic of his father's action in cutting off his family. Alex is insecure and easily becomes jealous. He hates to look foolish in front of other males. At first, he is a strong shoulder to lean on, an excellent financial advisor and friend to the heroine, Teresa, who has lost her father after a long struggle with cancer. Her mother died when Teresa was a child, and her father's medical bills have left her almost destitute. Fortunately, she has a college education and rare artistic talent. Alex goes out of his way to help her, even lending her money, but he finds her desire to establish independence threatening. When he strikes her in anger, she flees to Paris with the last of her savings, hoping to leave his over possessiveness behind. But eventually, he tracks her down. A "good villain"? Oxymoron? No. In creating a believable monster who genuinely thinks he has been wronged, an author cranks up the suspense. Breath bated, the reader forges ahead as this legitimately off-balanced person commits acts of increasing atrocity. Like the narrator in Poe's "The Tell Tale Heart," who keeps insisting that he is perfectly sane, the reader sees and fears the psychosis. After creating an intriguing villain, I needed the perfect setting for the climax of Hiding, available at www.thewildrosepress.com. Having read a fascinating article in National Geographic about the labyrinth of tunnels under Paris that include a sewer and water system, French resistance outposts from WWII, and the ancient and eerie catacombs, I knew I had the perfect oubliette. The French word oubliette means "forgotten place." An on-line tour of the catacombs gave me a realistic vision of the bone yard. When Alex abducts Teresa and takes her there, she realizes with growing horror there is no better place to kill someone. What notice will be taken of one more set of bones among the many? symbolizes the hereditary thread of insanity that runs through the Usher family which culminates with Roderick and Madeline. Katherine McDermott was born and raised in Charleston, S.C. She is a retired English teacher and guidance counselor with degrees from the College of Charleston and Citadel. She has articles published in numerous publications and her Hiding ms was a finalist in the Daphne Du Maurier Kiss of Death Contest. She has published children's books and co-authored South Carolina Lighthouses. I hope you enjoyed this guest blog by Katherine McDermott. How have you created your villain? Have you found a great setting or "oubliette?" Do leave a comment and share with your friends.